Maclan Industries, Inc. is a 32 year old company located in St. Louis, MO. Our facility is centered on 17 acres with over 37,000 sq. ft. of building space in operation. Maclan is strategically loc ated with ready access to the majority of freight carriers in St. Louis. 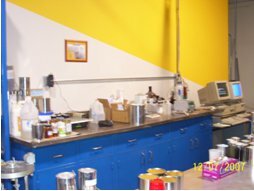 Our company offers custom chemical manufacturing/ outsourcing services, custom packaging services and custom built urethane/ epoxy gun and pump systems. 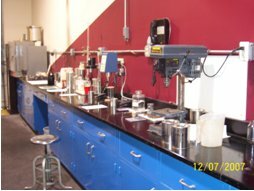 We have an in-house quality control lab, trained operating staff, and over 47 years of combined experience in the chemical industry. Both small and large companies utilize our services in ever-expanding enterprises. Maclan diversifies and accommodates these new markets. Our greatest asset is our ability to quickly move from concept to reality in a cost efficient manner. problem solving and application ecaluation.